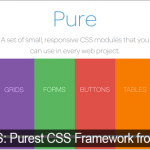 Pure CSS: Purest CSS Framework from Yahoo! Imagine that you are about to develop a webpage or web based application, which includes heavy parts of PHP code. In such a situation, significance of an Integrated Development Environment, commonly known as IDE is quite big. An IDE is like your companion while coding. Wouldn’t you love it if one of your friends is standing near to you and giving you suitable instructions and summary on the code work you do? This is what an IDE does while you code. However, the wise decision is with choosing the best IDE for you. As you might know, there is software like Eclipse, Aptana Studio etc that supports PHP as well. Now, you have a better choice to select from the list. The new member is CodeLobster, which is a free IDE, dedicated for PHP coding. As of our experience, the software can show a high enhancement in your coding experience. Now, let us have a look onto CodeLobster. CodeLobster is something capable of holding your whole code together as a lobster does. As we said earlier, this is a free IDE for Windows based PCs. Though there are applications like Adobe Dreamweaver, Zend Studio etc to handle your PHP files, we will have to prefer CodeLobster because of its free label and compact behavior. The whole software is weighting only 19 MB. 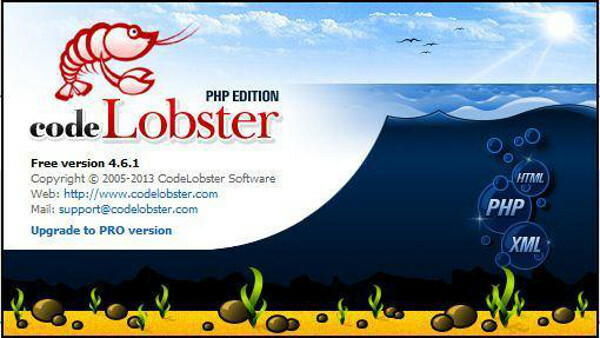 Even though there is a professional version of CodeLobster, the free version is enough for an enthusiastic PHP Developer. Now let us discuss the major features and specialties of CodeLobster. Let us start from the installation procedure itself. 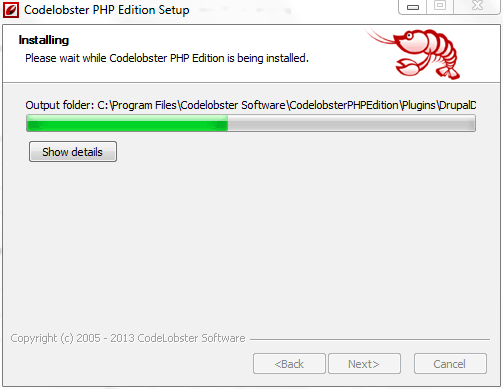 Installation of CodeLobster is quite simple as any other software. You can download the free version of CodeLobster from the website and the installation takes only a few seconds to finish. During the installation, you can set some preferences such as language, portable or static, etc. Once you have finished the installation, you can see a window with registration options. You can either choose the free version by getting the registration serial from the website or purchase the professional features for more features. After completing the registration, a clean window of CodeLobster will welcome you, bearing the user interface of your favourite IDE, which you would have selected during the install. 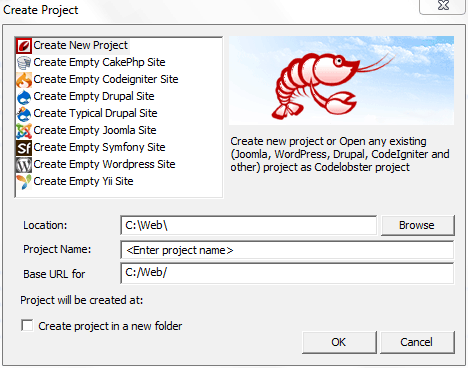 There are a number of features, which makes CodeLobster an optimum PHP editor for your coding purposes. Let us now discuss the major ones. The main problem we have seen in other editors is their heavy behavior. In some cases, it takes even minutes to set up the window and start working. The situation is worse when you come use them in low configuration computers. Even though they start working anyways, your coding experience will be interrupted due to the software’s sluggish behavior. However, CodeLobster team has taken a good decision in the section. As we have checked, the software took only seconds to load in a PC with mediocre specification list. You can guess what will be the heaviness of the software when we say it is stuffed inside 19 MB. Simplicity is of course an attractive feature of CodeLobster. Currently, you may be using various IDEs or editors like Eclipse, Notepad++ etc. having support for various programming languages including the heavy one. If you are a developer concentrating on PHP, the support for other languages is a waste of time indeed. In the case of CodeLobster, the IDE is completely dedicated for PHP, which means that the software uses whole resources for PHP coding. Because of this dedication, CodeLobster has a deeper integration with the programming language when compared to the multi-language supported IDEs. SEE ALSO: Subtle Patterns Bookmarklet: Preview Background Patterns on Your Website. Also because of this dedication, we can avail many other features. One of such features you can see is the outstanding auto-complete support. The software does not want you to type the full code line. Instead, it will help you by providing code suggestions. This suggestion is not only available for PHP but also for HTML and CSS. Along with suitable suggestion, there are also some features for code highlighting and debugging. We guess that you will be using IDEs for handling heavy PHP apps rather than a single webpage or website. In case of such dynamic applications, there will be a large number of components in your code, as PHP is an object oriented programming language. It is quite usual that you may lose the flow of code by working continuously for hours. In such situations, you can make use of CodeLobster’s component listing feature. You can see all your components like functions, strings, variables etc. This box is quite useful when you handling with big projects indeed, especially for professional developers. If you are a freelance PHP developer, you might have to handle tens or hundreds of projects at a time. It is a herculean task for at least someone to keep all the record categorized. However, if you are using CodeLobster for doing such projects, you will not have to mess up with projects anymore, as the software is having a powerful project manager with it. When starting a new project, you have variety options to choose from. You can select the category of project, set up the root directory in your local server etc in the New Project Window itself. As a PHP developer, you may be not only handling the traditional PHP coding but also doing some projects in CMSs like WordPress. CodeLobster has in-built support for a number of content management systems (CMS) including major ones. You can set up such platforms via single click and start using them once the software has finished the download and install. For instance, in the case of WordPress, you can give the name and details for the virtual WordPress site and the IDE will set up the site for you in seconds. These CMSs are available in the form of single-click install plugins. This plugins comes as 30-day free trial and you need to upgrade to the professional version for getting these features further. Nowadays, majority of users will not be satisfied if you are giving them two text boxes and submit button in your web applications. Hence, it is a significant requirement to add styling options in your application. In case of web applications, we can make use of HTML and CSS accompanied by JS. You do not have to approach other software for handling such files because CodeLobster itself have support for such formats with auto-complete feature. 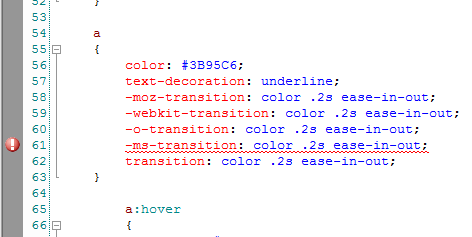 An attractive feature we noticed is that the IDE will show you the color when you hover over color code. For making the IDE, a united place for your coding, development team has included some other applications such as SQL manager and FTP client. As you know, both of these features allows you to control database files and upload files to your servers respectively. Both of these features are making the IDE look more professional. Analyzing the top features we mentioned above, CodeLobster is one of the best IDEs you can find in the market. 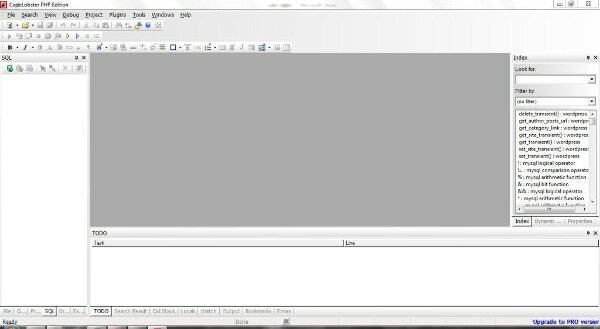 What makes it different from apps like Dreamweaver is its free. Though there is an issue of spending $119 for upgrading to the professional plan, we should say that CodeLobster is an awesome IDE for beginners and pros. What do you think about CodeLobster? Do let us know via comments. With a small installation package , Codelobster – Professional version has less system occupation, which means you don’t have to worry about the performance of your computer or Mac. Codelobster is good for php coding but I prefer Notepad++ for PHP and HTML/CSS coding. Why you prefer Notepad++? Any reasons? Thanks you.PHP coding sometimes is hard,but using softwares like this,we can ease the Coding. I have to try some of this tools. For the most of my php time I use netbeans because it can debug, and dreamweaver from time to time without obvious reason. Notepad++ is definitely not recommended because it can become very hard to debug your error and there is no code completion. I am not yet used codelobster for php coding here after i am going to use this software. Thanks a lot for sharing. This is a nice comment about php tool. Coading is difficult for some of the people. With the help of some tools it can be finish easily. Thanks to share it. CodeLobster is a very good IDE because it is very light weight as compared to netbeans and eclipse. Thanks for sharing a nice piece of information. Hi Rajesh. Really a great post. But my question is that apart from eclipse, can it be supported by Google Studio? I didn’t get you? It’s a good editor for PHP. Hey Rajesh. 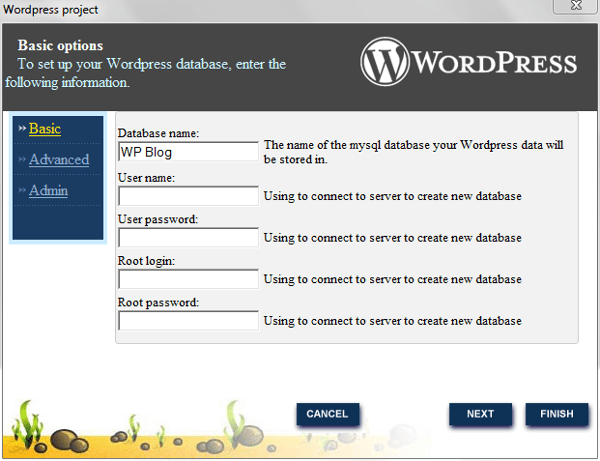 Yeah it is a very good editor for PHP platform. But my question is that can it be supported by Google Studio (Advanced IDE of Android). Hey Rajesh, i find your post very helpful. As being a php developer was not aware of CodeLobster but after reading your share i am very excited to use it. I only use Sublime Text and I feel It’s the best of Text Editor I’ve ever used. Do you use it, Rajesh Namase. If you don’t, just try it. I think you will love it like me!